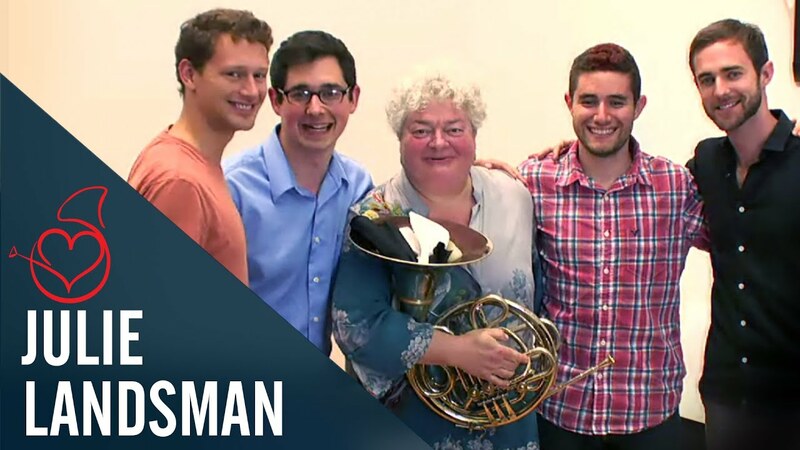 A special tribute to Julie Landsman, professor for horn at the Juilliard School and former principal horn of the Metropolitan Opera in New York, featuring her former students who became her colleagues in the Met orchestra: Michelle Baker, Anne Scharer, Julia Pilant and Barbara Jöstlein Currie, who joined us virtually from San Diego. Live from the Juilliard School in New York – thanks to Adam Meyer and his team for making it possible, and a huge thanks to Jim Patterson of Patterson Hornworks for supporting this Hangout. It means a lot to us! Click here to support the Horn Hangouts!